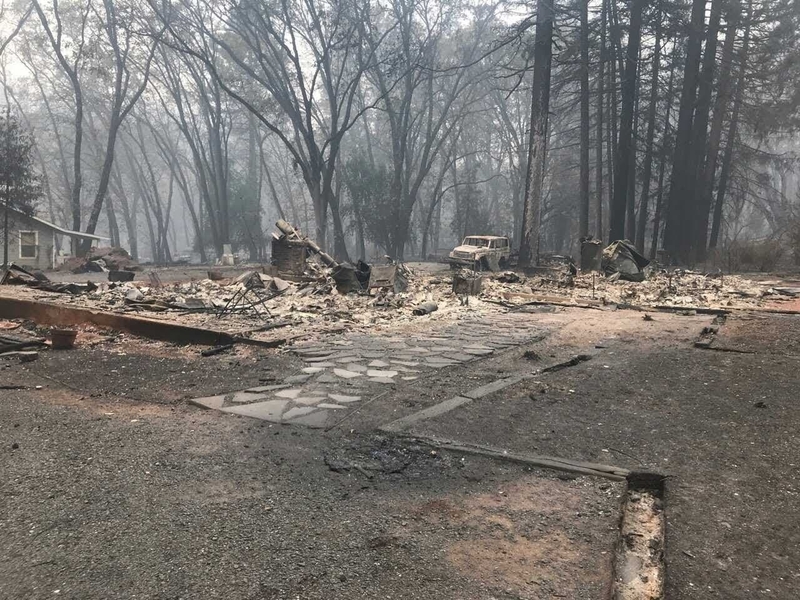 Residents living in the aftermath of the Camp fire, the deadliest blaze in state history, say it feels like they've been forgotten. Kimberly Omiela can’t remember the last time she felt warm since she lost her home and all of her possessions four months ago in a massive wildfire that virtually destroyed a Northern California town, forcing her to move into a small, dilapidated trailer on her property. She’s trying, though. 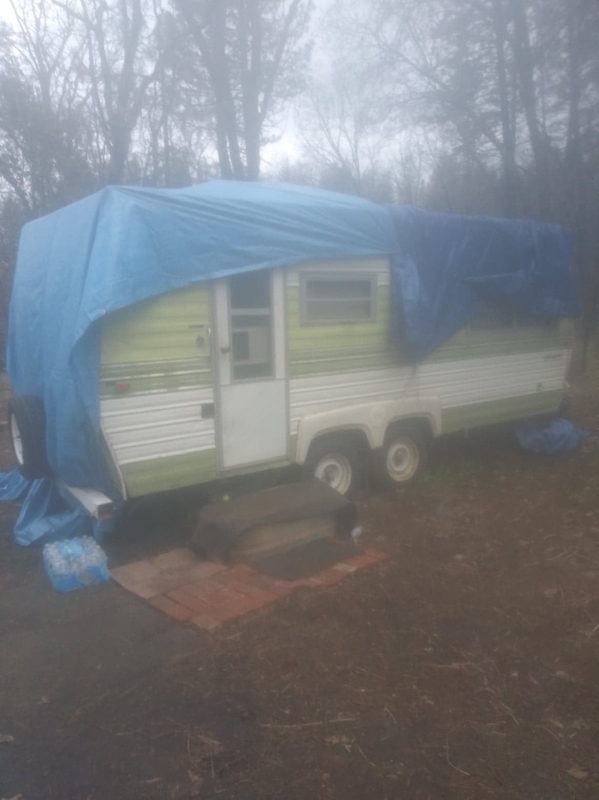 The 50-year-old has wrapped a bright blue tarp over her brother's old hunting trailer in an attempt to insulate it from the sharp, frigid air that has descended on the foothill town of Paradise. Omiela doesn’t have electricity, so she turns to her oven for heat. But it really doesn’t do much more than waste valuable propane. Once a week or so, Omiela gets a hot shower, eats a warm meal, and stocks up on water at one of the few remaining donation sites in Butte County since the disaster recovery center, Red Cross, and other aid outposts have closed up shop. “It’s a constant battle just to survive,” she said. A single mother who has a stroke-induced disability, Omeila says she doesn’t have anywhere else to go, a plight thousands of other survivors are still facing months after firefighters contained the deadliest and most destructive wildfire in California history. 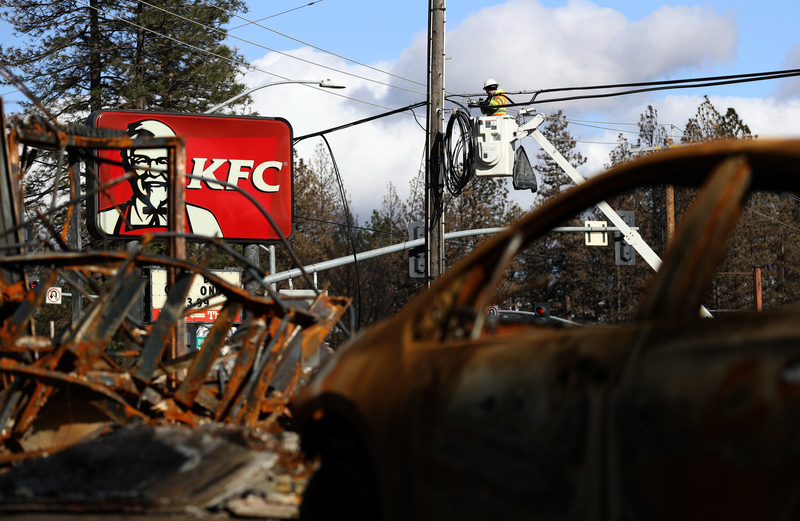 Like more than a dozen other survivors of the Camp fire, Omiela told BuzzFeed News that she has called a Federal Emergency Management Agency hotline every day asking for updates on a promise to provide her with a new trailer until she can find permanent housing. After denying her application three times, the disaster assistance agency finally provided her with $7,000 in aid. Her new reality is parked askew in the ashy mud of her former one, across from what’s left of her old life: a pile of twisted, rusted metal, a lone brick chimney, and pieces of spray-painted pink trees, now just debris awaiting removal. So far, FEMA says it’s received nearly 27,000 valid registrations from wildfire victims asking for aid, but has approved just a fraction — 7,891. “Approval for a FEMA program is on a case-by-case basis that takes into account a variety of factors,” including verifying that a person lived at a residence, checking identification, evaluating any insurance policies, and determining how much a person lost, said FEMA spokesperson Ken Higginbotham. But for many residents, all of their documents were destroyed in the fire, and property inspectors have barely made a dent in assessing the thousands of homes devoured by the flames. “It’s always ‘at least a couple months’ from FEMA,” Omiela said. Progress for many Paradise residents has been frustratingly slow. Facebook groups are constantly gurgling with complaints about FEMA denying aid applications and seemingly endless calls for help, ranging from GoFundMe campaigns, requests for prepaid gas cards, portable showers, children’s books, clothing, and places to stay. Organizers, who seem to never sleep, do their best to reply to each post and, thanks to a stream of private donations, coordinate and deliver all that they can. 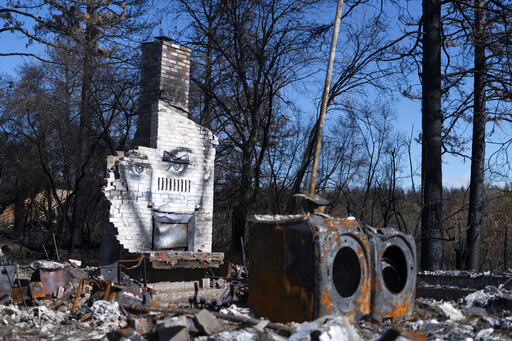 For the federal, state, and local agencies tasked with housing survivors and removing and rebuilding what the blaze destroyed, the magnitude and complexity of the task is staggering. The federal agency says it has plans to bring in 14,000 temporary housing units to help some of the 27,000 fire-displaced residents now spilling into a county that was already in the throes of a severe housing shortage and record-setting homelessness crisis. 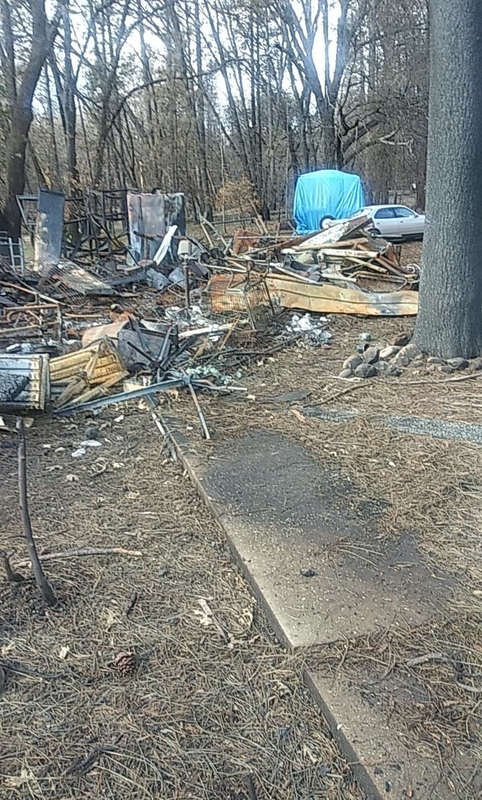 As of March 1, only 243 displaced families who lost their homes in the wildfire are living in government-allocated mobile homes, while dozens of other FEMA temporary housing units sit unoccupied in neighboring counties. The problem, officials say, is finding a place to put them. 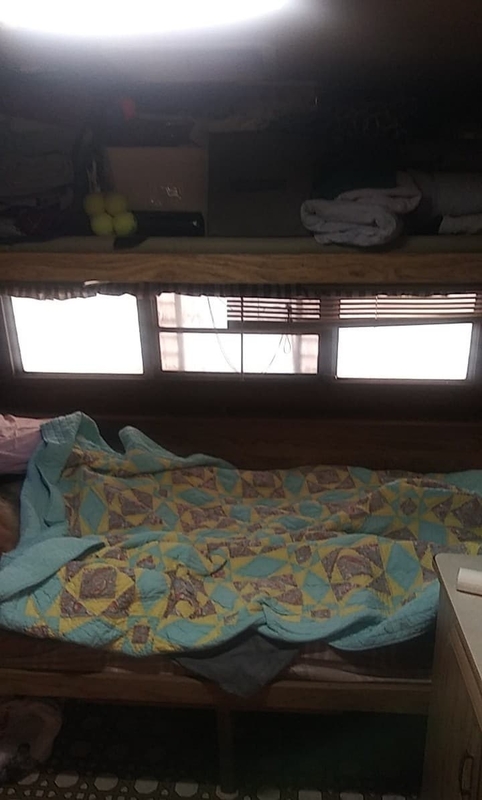 RV parks in the area are full of displaced residents, and locating open plots of land with the capability to host the units has been a slow process. 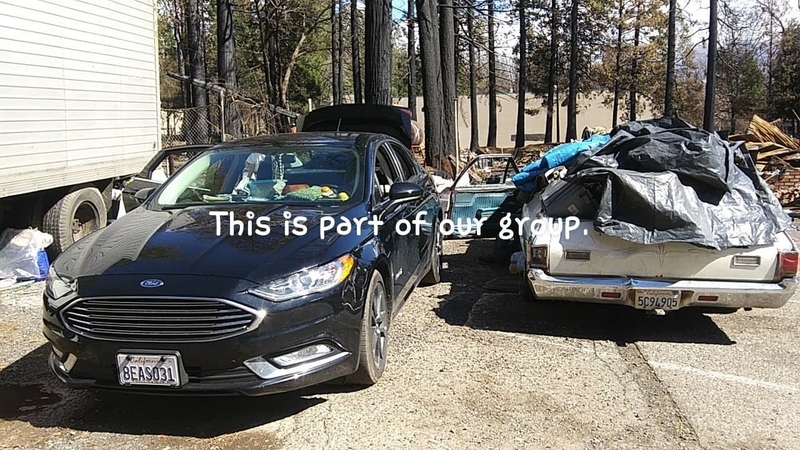 For wildfire victims living in this strange limbo, days are often filled with loan application paperwork, long drives with their children to temporary schools scattered across the county, picking up propane tanks, or visiting FEMA’s outpost. But mostly, they wait. There have been several public hearings to discuss how to rebuild Paradise and what city officials and planners should do differently this time, Jones said, but there won’t be any major moves for a while. Preparing for a new Paradise is a complex, arduous process and the largest undertaking in California history. 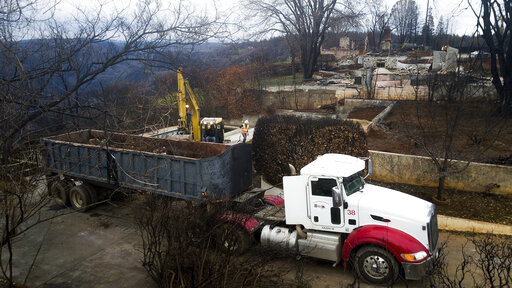 State officials estimate it will cost $2 billion and more than a year to properly inspect and clear about 5 million tons of debris and toxic materials from 14,000 lots, and then deem them safe for residents. In the past few months, crews have removed debris from 140 of 11,000 lots, and officials have yet to fully complete one property. “This operation is like nothing we’ve done before,” Lance Klug, a spokesperson for CalRecycle, told BuzzFeed News. After weeks of incessant rain, crews now have a hefty backlog. “We have to clear almost an entire town — we’re talking gas stations, gun shops, restaurants, and that presents a host of new challenges and dangerous, unexpected materials,” Klug said. In the meantime, hundreds of displaced residents are still living in hotels across the area. Many have crammed into the guest rooms and houses of Airbnb hosts, friends, and volunteers, or scored coveted donated trailers. Others have left the area, asking in Facebook groups for donations and prayers to help buoy their journeys to places as far away as Wisconsin and North Carolina. 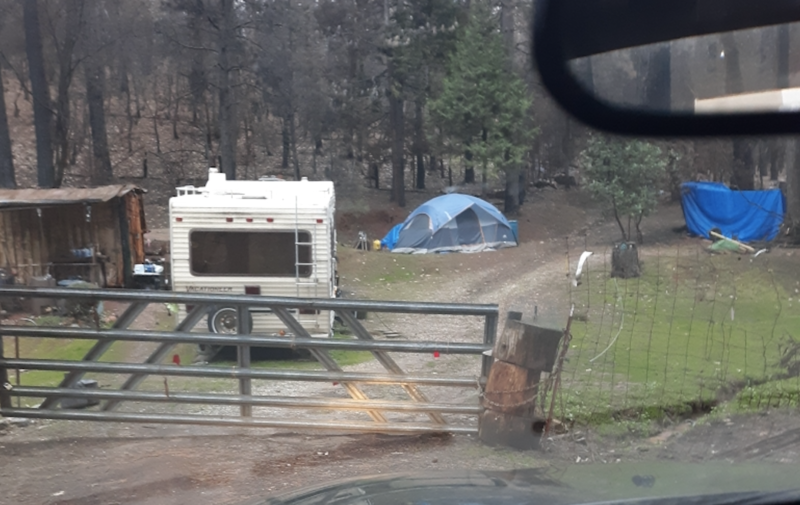 They’re the lucky ones, volunteers say, estimating that “hundreds” of people are living in cars and tents throughout the rural mountain ridge towns of Paradise, Concow, Magalia, and Pulga, where the fire originated. "The level of desperation is rising," said Frank Hilscher, a volunteer whose organization, Angels Among Us, has been making hundreds of meals a day out of a makeshift distribution site at the Old Magalia Church. "There's no real plan up here." The group is still churning out about 300 to 400 meals a day for survivors, he said. Hilscher worries about the elderly, like one 70-year-old man they've dubbed Santa Claus, who caught pneumonia while living in his travel trailer during last month's bitter cold. Mel Contant, a lead organizer who has been helping wildfire survivors since November, says she’s seen dozens of people living in tents “all over” the area and has personally delivered food and supplies to several of them. Over the weekend, she delivered groceries to a 68-year-old man who has been living in a tent on his property in Concow for several months. Gina Wheeler says she’s been living in her van since that terrifying November morning. She still has flashbacks of driving through flames, of her aunt’s hysterical call saying there were fire all around her before the phone went dead, of the moment she realized that she might never see her parents again. “If I don’t get stable again and back on my feet I won’t survive this nightmare,” she said. 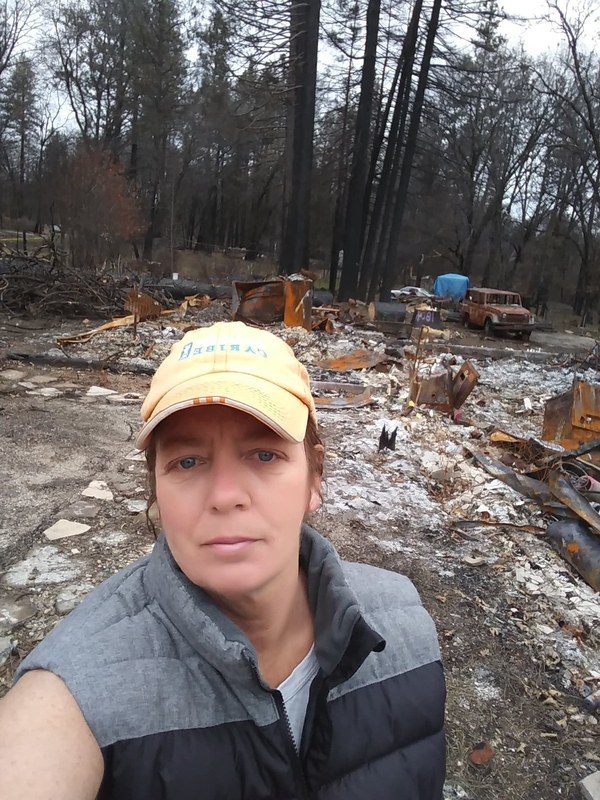 Wheeler is trying to save enough money so she can move to Oregon to “get a permanent long-term housing solution” and start over with what she says FEMA and the Red Cross gave her: $1,700 in rental assistance and $500 for her belongings. She doesn’t know if she’ll come back. But if she does, the town will be there, said Mayor Jones, citing the businesses that have reopened, like two grocery stores and Steve’s Music, a Rite Aid, and a bike shop, along with the post office and the Little League. Omiela says she’s doing better too. The rains have stopped and it’s getting warmer.